Above: Organic social media marketing performance is visualized alongside other metrics with the new Datorama Marketing Cloud connector. January 23, 2019 - Jon Suarez-Davis, SVP Product Marketing, Marketing Cloud at Salesforce, writes: We’re excited to announce today at AdExchanger’s Industry Preview that Salesforce is expanding Marketing Cloud analytics with new Datorama data integration, activation and developer tools. With nearly 7,000 marketing technology solutions available, marketers frequently tell us that getting a comprehensive view of their marketing performance is impossible, and that they spend too much of their time and resources manually stitching together different reports from disparate solutions. That is exactly why we are so excited that Datorama is part of the Salesforce Ohana. 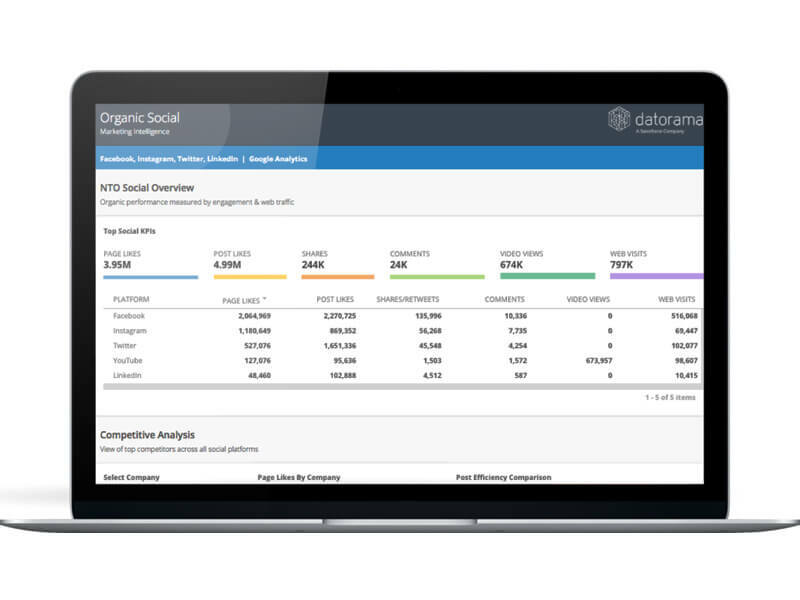 Now part of our Marketing Cloud, Datorama is the leading AI-powered marketing intelligence and analytics platform for enterprises, agencies and publishers. Datorama’s expansive library of marketing APIs and AI-powered connectors capture, interpret and classify marketing data (as well as other influential data types like sales, weather or economic information) from hundreds of marketing technology solutions. By connecting these data sources in one unified view, marketers can measure, analyze and report on campaign performance to make informed decisions that drive ROI.